Dan Clark, an inspirational speaker and author, speaks to the Airmen stationed at Davis-Monthan AFB, Ariz. about leadership at the base theater, Aug. 24, 2016. 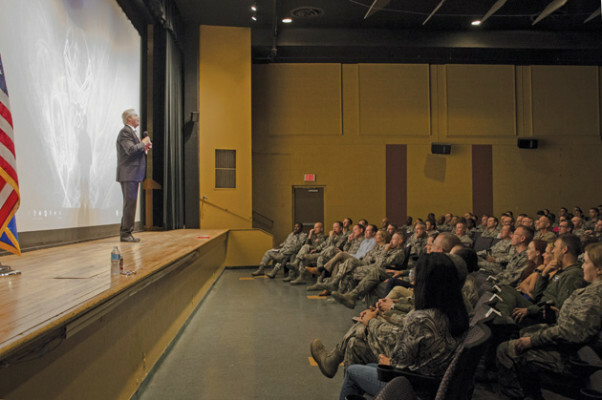 Clark conducted a one and a half-hour leadership seminar at the base theater for all military, civilians, and spouses. One of the top 10 speakers in the world visited Davis-Monthan Aug. 24 to speak to a crowded theater of Desert Lightning Team members about leadership and the art of significance. Among Dan Clark’s messages on “achieving a level beyond success,” he said the Air Force initiatives with its new Green Dot program essentially align with the very same core values— integrity, service and excellence, needed to succeed personally and as part of a team. If Airmen are living those values daily, things like sexual assault and suicide will not be an issue. 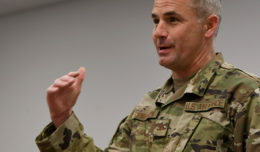 “Resiliency begins right here with a wingman on each side to say, you can get back up and go again because no matter what your past has been you do have a future, the best is yet to be,” said Clark, who was hosted by the Twelfth Air Force (Air Forces Southern) commander, Gen. Mark Nowland. “All the answers are in the box, we just have to gather together enough times to remind ourselves of how valuable we are. Be a wingman, listen in between the lines, be there for each other. And if you aren’t failing sometimes, you aren’t pushing yourself hard enough. Green Dot is not only the name of a new Air Force initiative to combat domestic violence, dating violence, stalking, child abuse, elder abuse and bullying, it’s also a metaphor, according to Master Sgt. Laura Morales, an Air Force Reserve senior NCO assigned to the 306th Rescue Squadron who recently completed training to become a Green Dot instructor for the 943rd Rescue Group. “Red dots are bad actions people take to harm someone else. Green dots are preventive actions people take to help others,” she explained. The new model is designed to take away the stigma that men are perpetrators and women are victims. One major change that Green Dot has implemented, she said, is the way the new program gives bystanders options for how they choose to act in response to a warning sign. 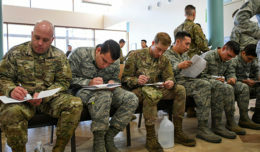 Training courses, taught by Morales and two other group senior NCOs, Master Sgt. Anna McClure and Senior Master Sgt. Grosh, are scheduled to occur every Monday this calendar year and will educate more than 600 members of the rescue community here on how they can be part of a solution to prevent violence. In a highly-specialized, rapidly deployable close-knit unit like the rescue group here, it is imperative that members look out for one another, she said. 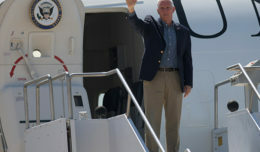 In an Air Force culture where there is still a need for open dialogue about prevention, it’s up to each member to not only conduct himself in a way that reflects integrity, service and excellence but also to help others if they need it, a message echoed in Clark’s speech to the entire base.